A GROUP of nine members from Penrith Swimming Club attended the annual Troutbeck Bridge ASA gala, held at Kendal. The competition, for those aged nine years and over, comprised 50-metre sprint races for breast stroke, back stroke, freestyle and butterfly with a 100 metre individual medley. Medals were awarded by year group for each event, and to the top three finishers. Ribbons were presented to those placed fourth, fifth and sixth, and for seventh placed finishers a chocolate bar was handed out. 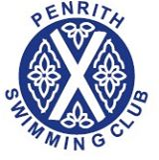 All the Penrith swimmers, Saskia Todd, Jessica Woodhouse, Sol Johl, Kes Fountain, Emily Guthrie, Luke Brown, Evie Jamieson, Caitlin Poulson and Maia Johl, finished the gala with medals or ribbons. Three of those, Caitlin Poulson, Kes Fountain and Sol Johl, received gold medals and the latter had an impressive gala, coming away with four gold medals and one silver from his five races.